Four men have been arrested in Drogheda in relation to a gun attack in February. A man in his 30s was injured in the shooting at the M1 Retail Park in Mell on 26 February. He was shot after he left a premises in the retail park and got into a white Vauxhall Astra with two other men. He was driven to Our Lady of Lourdes Hospital where he underwent surgery. A number of families with young children were in the retail park at the time of the shooting. 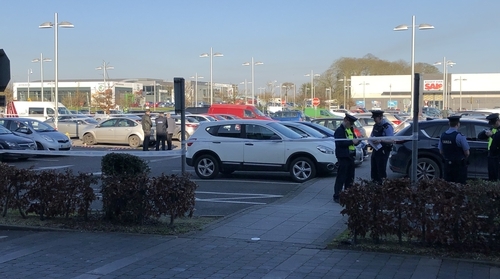 Four men, two aged 23, a 27-year-old and a 49-year-old, were arrested this morning and are being held at Drogheda and Dundalk garda stations. A number of premises in Drogheda were also searched as part of the investigation.